Q: Guruji, how can we practice yama (restraint) and niyama (discipline) in our seva? Sri Sri Ravi Shankar: Be centered, meditate regularly, and have a sankalpa (resolution) in your mind that you have to exercise yama and niyama. Keep your sankalpa strong. Once or twice, even if you slip from it, you will come back. Q: Guruji, With your enormous influence around the world, I see that you are doing fantastic work at leadership levels with youth and business leaders, but for an old business bandicoot like me, I listen to your inspiring speech but go back to my bad old ways when I go out of this room. Could we bring your influence in bringing the absolute moral teaching at the school level throughout India and throughout the world? Sri Sri Ravi Shankar: I had a Skype call with about 2000 youth who had gathered in Bangalore Ashram, and had been there for a whole week. The amount of enthusiasm in them was incredible. I am creating lots of teachers all over the planet. For example in Argentina we have a huge base. You might have read in the newspapers how night clubs are getting transformed and youth are going to night clubs with no alcohol, no drugs, no smoking, but instead they have soft drinks, they dance, they sing their heart-out and feel very ecstatic. This is happening in the night clubs of Argentina. Even in New York they have started what is called the Yoga Rave Party. People come and do Yoga and meditate and become quiet. Can you imagine thousands of youth in a night club sitting quiet with their eyes closed and being happy? Not throwing bottles on each others face? This transformation is happening. But I would definitely like it to happen at a much faster pace. There are volunteers everywhere. I would like to give all the credit to the volunteers who have been working day and night. They found the joy within themselves, and they wanted to bring that to others and that was the biggest motivating factor. Q: Guruji, there have been a lot of changes in our area through the YLTP programme. What is the aim of this movement? What mission or aim should I keep in my work as a Yuvacharya (youth leader)? Sri Sri Ravi Shankar: Shreyas (ones own progress) and Preyas (progress of others in the society). Your own progress and the progress of society, both have to happen together. They cannot happen one after the other. They have to happen together. That is the aim of the YLTP. You should give one year or one and a half year of your life for the country. Then you will find that your progress happens even more! The higher we want to build a building, the deeper we will have to dig to lay its foundation. The higher the position you aspire to reach in life, the greater will be the sacrifices you will have to make. Sitting idle and relaxing will not bring you to the top. You will have to put in some hard work. And that hard work will surely yield fruits. 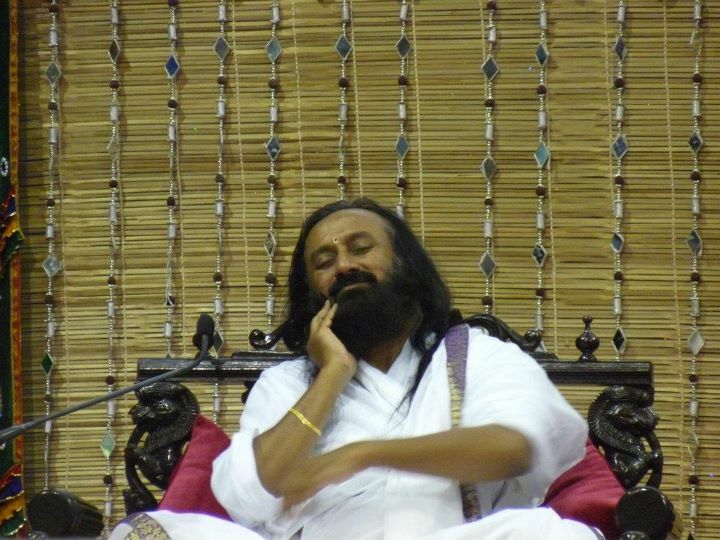 Q: Guruji, Money cannot bring us happiness this knowledge happens after accumulating money or before it? Sri Sri Ravi Shankar: If you are intelligent, it happens before. And if you are little less intelligent, then it happens afterward. An intelligent person also learns from others experiences. But this realization is only authentic if you can experience someones experience as your own. It doesnt carry any value if a beggar says that he has abandoned everything. How can a beggar abandon anything? He has not earned anything at the first place. Also there are some people who do not understand this even after accumulating a lot of money. But this doesnt mean that you should not earn money. If you are too feverish for money thinking that only it can bring you happiness, then either earn money and see yourself, or learn from others experience. Q: Guruji, There are many cultures in the world. Are there things which work same everywhere? Sri Sri Ravi Shankar: Certain things work everywhere. Sudarshan Kriya works everywhere. Today you go to any part of the world you will find someone doing the Sudarshan Kriya. That is why everything in the Art of Living is kept so universal. At some point in time, there was so much oneness in the world. People of Peru in Argentina do similar things as that of the natives of Arunachal Pradesh. Native tribes of Arunachal Pradesh do similar things as done by people in Venkovour in British. People from both the places worship all four directions. There were lots of similarities among native inhabitants of different parts of the world. People in Lithuania greet you with bread and salt. As there is no ocean there, salt is a very precious commodity there. Similarly people in Kerala put a pot flowing with paddy outside their homes, which shows there is abundance in home, so people are welcome. Certain things are same, and there are certain other things which are unique to each culture and country. Those differences should remain. Every culture and country should maintain that uniqueness. Russian people have beautiful folk dance. Danish have their beautiful ways. Love, compassion, meditation, yoga – These are universal. Q: Is there any significance of not sleeping the whole night? How long should we stay awake? Sri Sri Ravi Shankar: No, don’t strain yourself. Be natural. 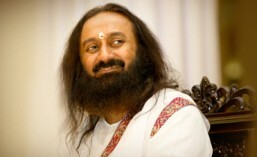 Q: Guruji, Intuition is important for entrepreneurs as it creates unique resources for gaining competitive advantages. From a management context, we are saying that companies that are investing in resources with unique capabilities are at an advantage. If we spread spirituality everywhere, what will be the uniqueness then, and how will we still gain the competitive advantage? Sri Sri Ravi Shankar: We all sleep; we all have a good meal and a good nap. If everyone takes very good and deep sleep, will they all become the same? No! If everyone has a good meal, will they all express themselves in the same way? No! But everyone is entitled to have a good sleep, and everyone is entitled to listen to good music, be relaxed and be happy. Being happy does not bar you from being unique. It is not that if the sun comes through one window, it comes in any way less from another window. Spirituality is like that – everyone is entitled to enjoy the full sunshine without having to worry that if someone else is enjoying the sunshine as well then they will get less of it. Nature is abundant, and spirituality is something basic to our life. So everyone can learn how to manage their anger. Everyone can learn how to feel uplifted and elevated. Everyone has the right to be enthusiastic. Enthusiasm is not the property of just a few people, and others should be unenthusiastic about things, no! Everyone can be enthusiastic, unique and creative in their own way. And spirituality is that which supports this – the growth of every human being. Q: Dearest Guruji, any valentine in the world pampers his partner, reciprocates the love, etc. How can we find the same satisfaction in the Divine Valentine?